What is community wealth building (CWB)? On the one hand, it seems like a new idea. The Labour Party established its CWB Unit less than a year ago, on 9 February 2018. 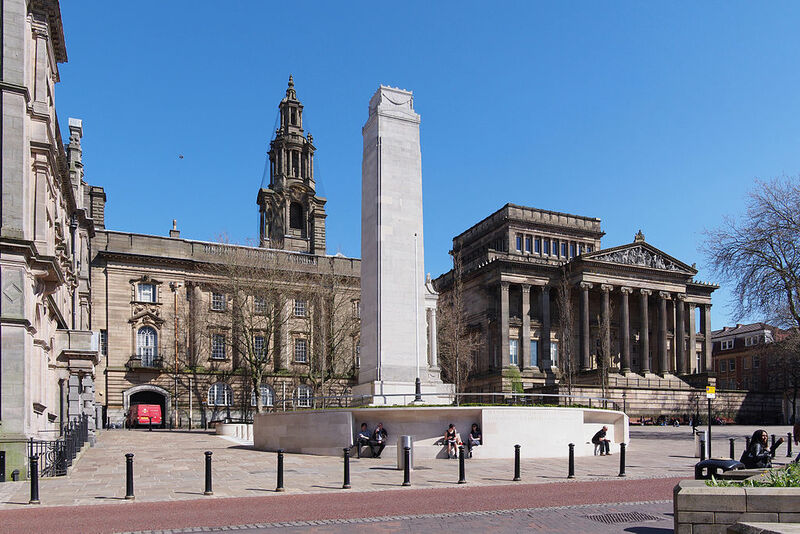 Inspired by the Preston example, the aim was ‘to develop inclusive and democratic local economies’ and ‘to ensure economic development delivers for local communities’. The new unit is independently advised by the Centre for Local Economic Strategies (CLES), which had been working with local councils across the UK and Europe, including Manchester, Preston, the London Borough of Islington and Barcelona, for the previous decade. 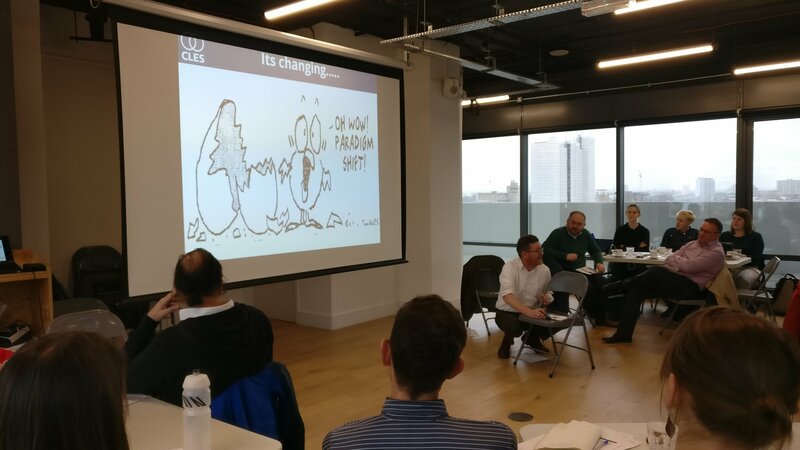 But, as CLES chief executive Neil McInroy pointed out at a workshop on CWB held in London on 16 January as part of a workshop series hosted by Stir to Action, the idea has deep provenance beyond the recent interest. ‘We all stand on the shoulders of giants,’ he said. Over a century ago, pioneering Scottish urban planner Patrick Geddes was emphasising that places are systems and planning needs to consider ‘primary human needs’. In the 1950s and 1960s, US economist and urban planner Jane Jacobs was arguing that development needs to be sympathetic to people who live in the area. Adam Smith, the ‘father of economics’, best known for developing the idea of self-interest in economic exchange, recognised that markets involve human relationships, and we therefore need empathy with the plight of others. The CWB movement thus needs to be framed as part of a larger political and social project. It sits within the fast-growing new municipalism movement, which sees the local state enabling and supporting community initiatives, and investing in more democratic and more pluralistic local economies. Even when local authorities have declining budgets, as now, there are things they can do, including encouraging other public bodies, eg the NHS and universities, to take action. What about growth? Do we need growth to be prosperous? Growth is not the be all and end all, said McInroy. ‘It’s the cherry on the cake – as long as it’s socially and environmentally sustainable.’ What needs to grow – and to be seen as of equal value to the rest of the economy – is the social or core economy, which needn’t involve any cash. The social/core economy is the invisible economy that we take part in every day: the economy of the home, family, neighbourhood and community – what makes us human, social animals. This is the operating system for the whole economy. If we don’t support this core economy of neighbourliness and community, council programmes will be hopelessly overstretched and the potential for a burgeoning economy will be lost. What would make an economy or a place resilient? CLES came to the realisation that wealth needs to be extracted less and more plugged into the local area; generative rather than extractive. Research by CLES shows that for every pound spent with a small or medium-sized firm, 63p is respent locally. That drops to 40p for every pound that goes to a large or multinational company. Land, property and assets: how can these be harnessed for the public good? Each place where CLES works has a different blend of approaches. CLES always starts with an analysis of the area and this determines what they focus on first. While Manchester and Preston are leading on procurement, the Wirral is leading on workforce and assets. Wirral council has almost 1,900 bits of land and property, mostly not used or underused – can they be brought back into more productive use? In Islington, where gentrification is increasingly squeezing local people out of markets and housing, the focus is again on land, property and assets. In Barcelona the focus is on democratisation, and creating a social solidarity economy. Preston is a great test bed for building a local economy, said McInroy. It is a small town; six anchor institutions were involved from the beginning (now eight, including a hospital and a university) – unlike in Manchester, where only the city council has been involved; and it had a very low base of local procurement – in 2012/13 just 5 per cent of the £750 million spent by all six anchor institutions was spent in Preston, and 39 per cent in Lancashire (including Preston’s 5 per cent). With the initial focus on procurement, by 2016/17 these figures were 18/80 per cent – a massive increase – and 4,000 more people were receiving the real minimum wage. Does all this involve local protectionism – which wouldn’t be allowed under EU regulations, asked one workshop participant. No, said McInroy, it’s about enabling local suppliers to compete, and bringing social values into the procurement process. As far as local suppliers are concerned, where a contract was very large, this has involved splitting it up into smaller chunks that could be taken on by local and/or socially minded firms. The council has also helped create a food cooperative to help supply anchor institutions’ catering needs. Regarding social values, criteria for suppliers can include things like paying the real living wage and having a supply chain with low carbon emissions. In Manchester, the city council identified youth unemployment and high levels of poverty in specific wards as problems that suppliers should aim to address. With social values incorporated into procurement criteria, in effect suppliers need a licence to operate. Public service should be a space of fairness and decency, with different values from commercial organisations – something which has been lost, said McInroy. Preston has also been addressing the other elements in creating a local economy. In 2012 it declared itself the first living wage employer in the north of England. The council backed a credit union as a way of taking on the loan shops and it’s looking at establishing more co-ops. When it comes to assets, investing local public pension funds locally is a possibility – and some funds have been invested in a hotel development – but this is more controversial and the potential more limited given the fiduciary duty to ensure good pensions. Apart from a wealth of information and insights about community wealth building, and how to create a local economy, the workshop provided a good reminder that there’s nothing natural or unassailable about neoliberalism, about the toxic version of capitalism we have today. The recent TV drama Brexit: The Uncivil War showed the importance of the word ‘back’ in the Leave campaign slogan ‘Taking back control’ – so much more powerful than just ‘Taking control’. This workshop reminded me that as well as creating new ways of organising we too need to go back – to the recognition that markets are human, that development is about people, that social values should be a central part of public institutions.